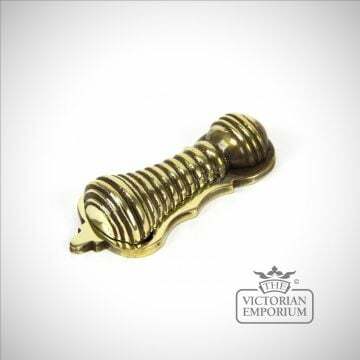 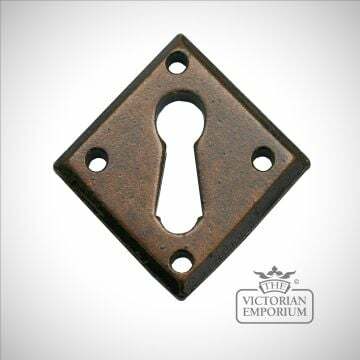 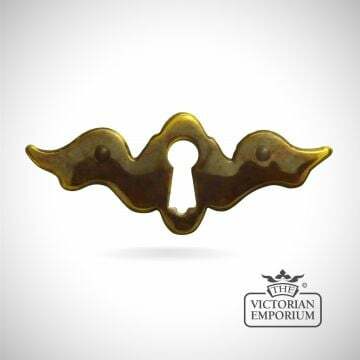 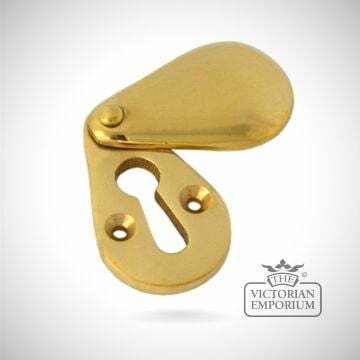 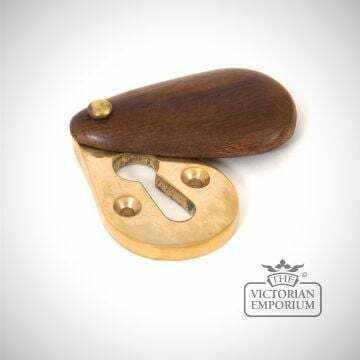 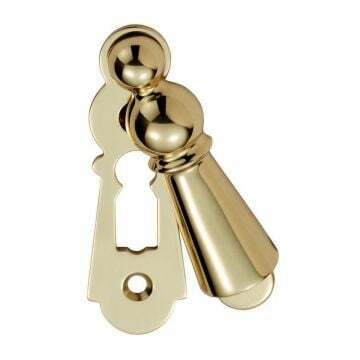 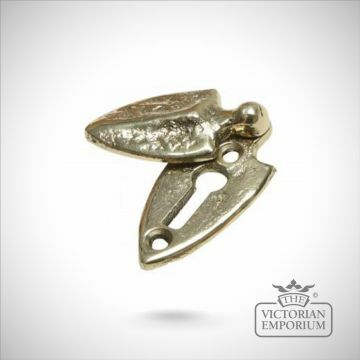 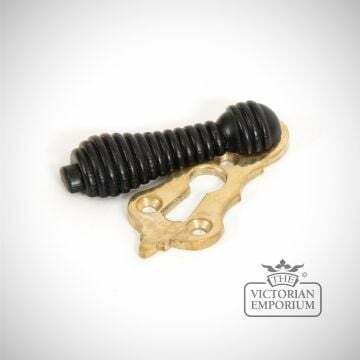 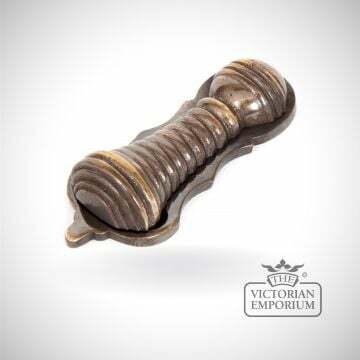 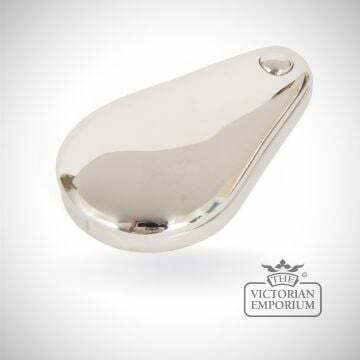 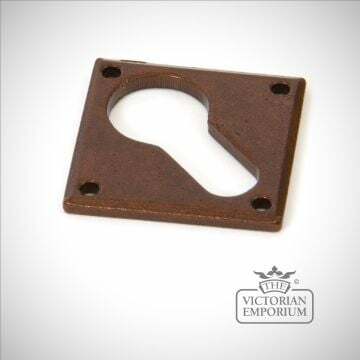 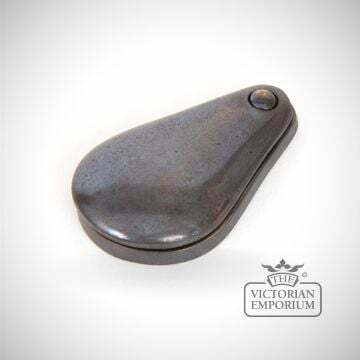 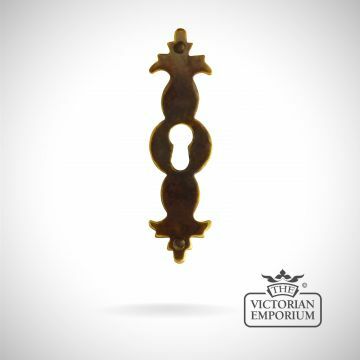 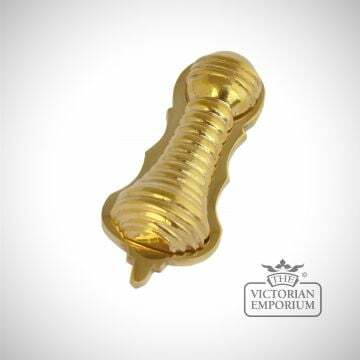 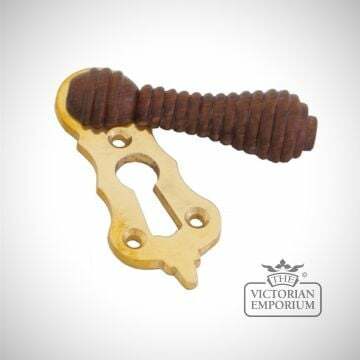 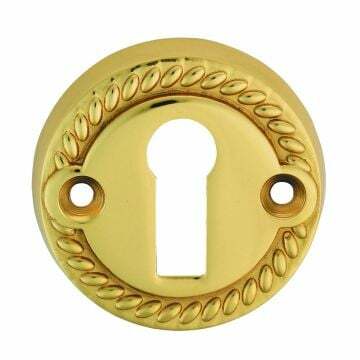 We sell escutcheons in a variety of different designs and materials, all to fit into a period home. 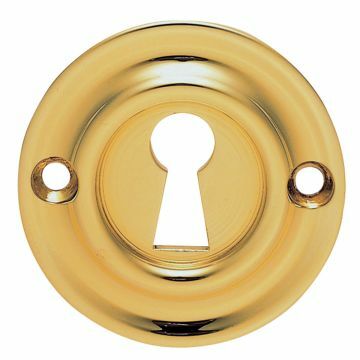 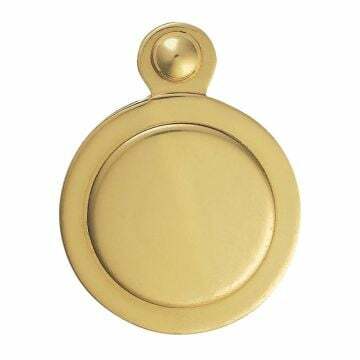 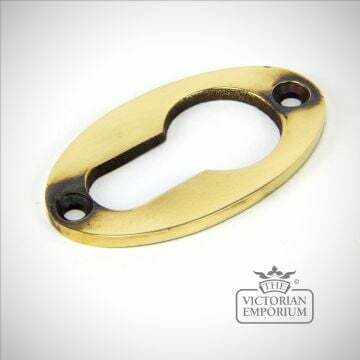 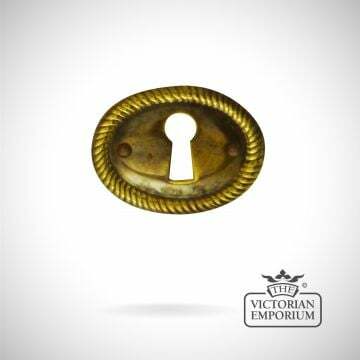 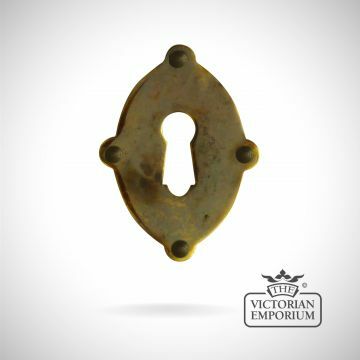 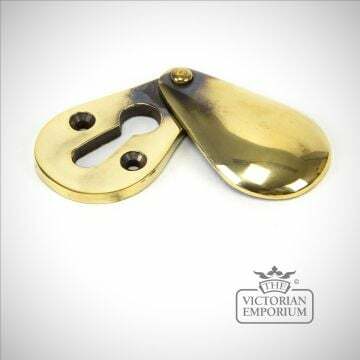 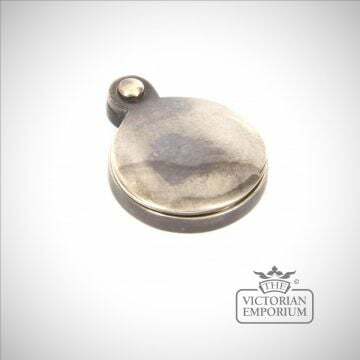 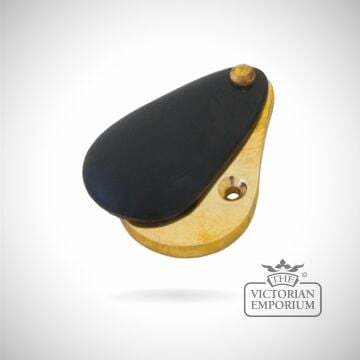 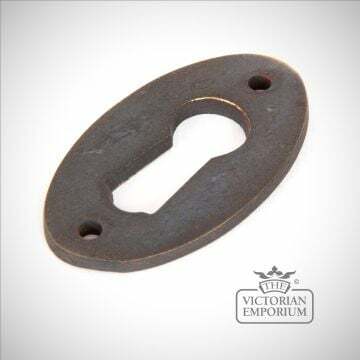 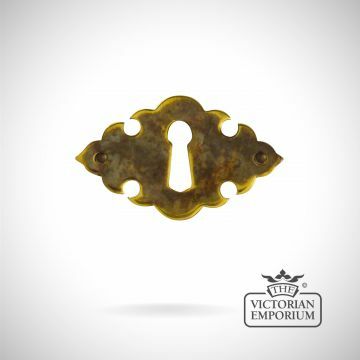 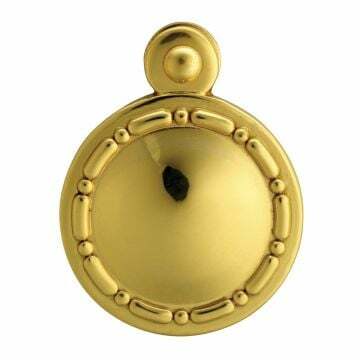 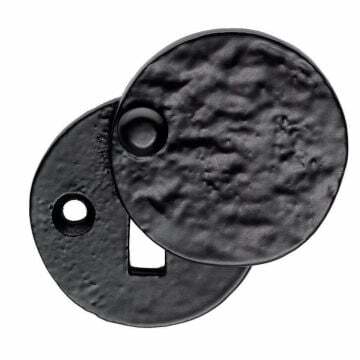 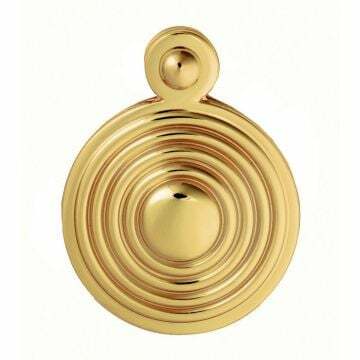 Ornate design stamped brass escutcheon keyhole cover, supplied with colour matching brass pins. 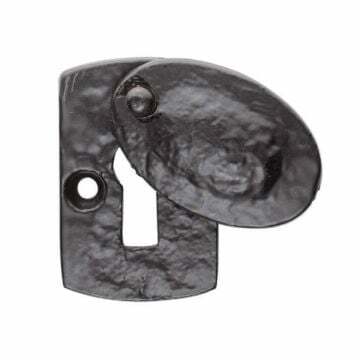 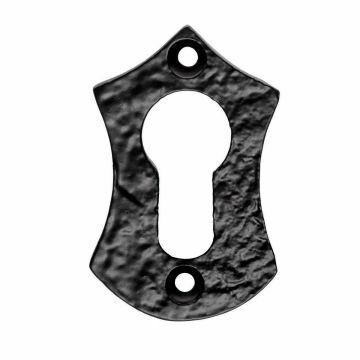 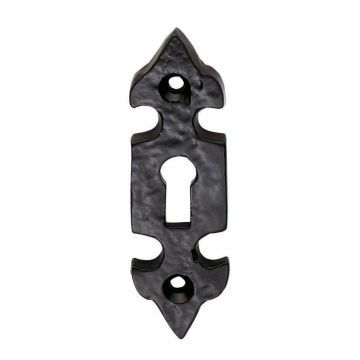 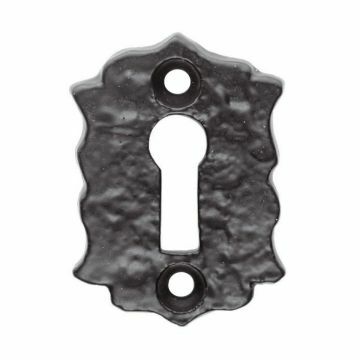 Escutcheons provide a decorative front to keyholes.